Best priced move-in condition residence at the ICON South beach. 2 bedroom spit floor plan with automatic blinds, open kitchen and marble flooring throughout. Enjoy bay, skyline and ocean views from this 14th floor residence. Master bath includes double sink vanity, soaking tub and glass enclosed shower. Building just finished $12M renovation on the pool decks. The building has an amazing gym, spa featuring sauna and steam room and resident only restaurant. 24 hour security, valet, front desk personnel and concierge. One of the best buildings in Miami. Stroll on the boardwalk to the beach, Montys, Joes, and Publix. Original owner. 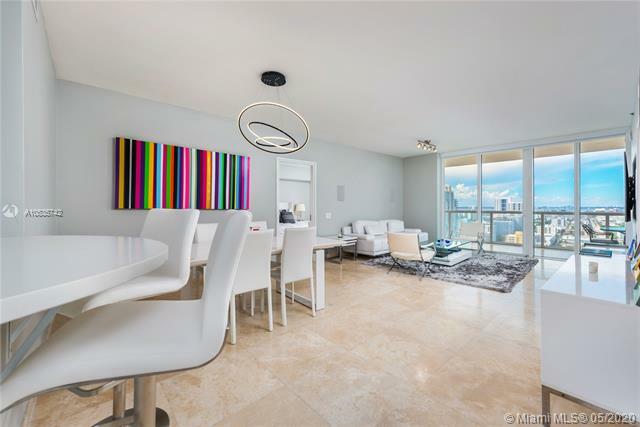 Beautifully renovated, impeccable 1,370 Sq.Ft 2bed/2bath Corner Unit at Icon SOBE. Move right in (brand new furniture included)! Stunning ocean views from your massive 735 Sq.Ft. wraparound balcony. The perfect pied-a-tier or vacation home. Enjoy the south of fifth lifestyle. Easy to show! Great value dont miss it! Enjoy amazing bay and ocean views from bedrooms, as well as bay and city views from living, dining and kitchen. This high split floor unit is available at the exclusive and So Fi neighborhood. This split floor unit features spacious master bedroom with two walk in closets and huge master bath equipped with dual sinks, roman tub, shower. Second bathroom, is conveniently situated near living area as well as second bedroom. Unit balconys is accessible from both bedrooms, and living room. Italian cabinetry in this modern kitchen, equipped with Miele appliances, wall oven, and built in microwave. In addition, unit features laundry room. Added to all these the unit offers all of the amenities which have made the Icon the favorite residence in the sought after So Fi neighborhood. 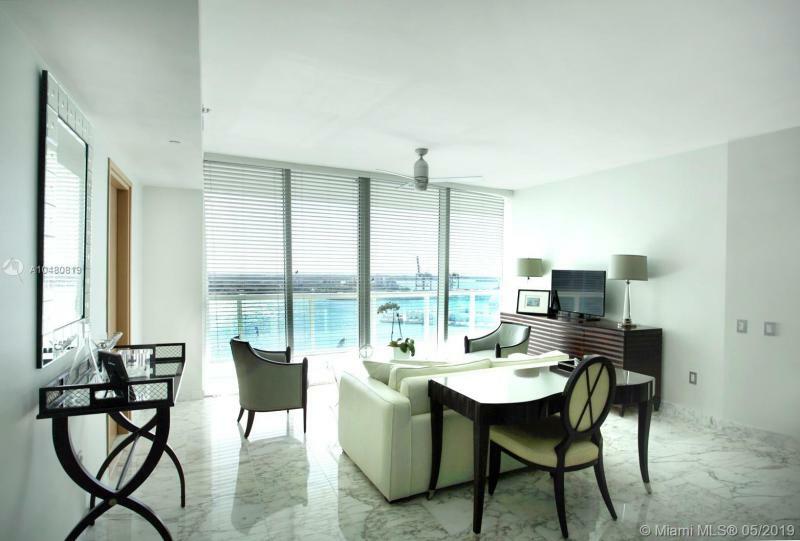 Well appointed high floor 2 bedroom + Den condo at the ICON South Beach. 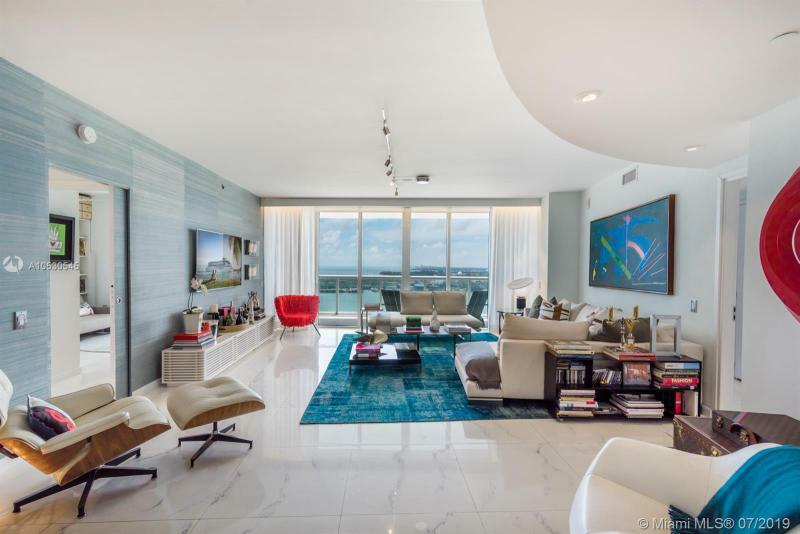 Beautiful direct bay and Miami skyline views from every room. Watch the cruise ships and Miamis famous sunsets every day from your condo in the sky. Interior features include an open kitchen with Miele and Subzero appliances, grey limestone floors, and roller shades. The den features custom sliding glass doors that transform the room from an entertaining space into a 3rd bedroom or office. The ICON is a 5 star building located in the south of fifth neighborhood, building amenities includes a world class spa, a resident-only restaurant, valet, library, and infinity pools. Stroll down the Miami Beach boardwalk and dine at the finest restaurants in South Beach. Easy to show. A phenomenal opportunity to own a premier 01 model, best priced high-floor, at Icon South Beach, Philippe Starcks first Miami Beach residential project in the prestigious South of Fifth neighborhood. 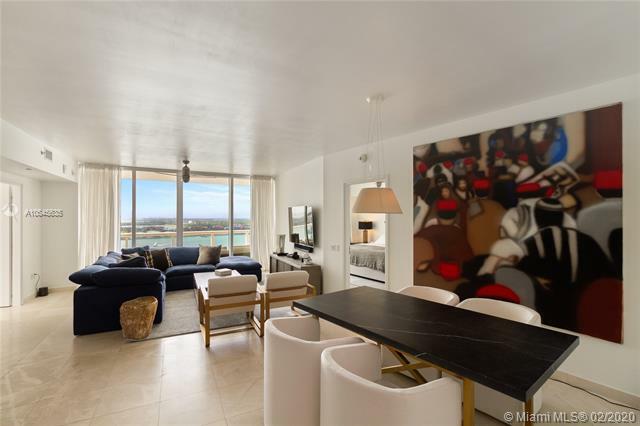 Enjoy Impressive from your 800 SqFt wraparound terrace of Biscayne Bay, all islands surrounding South Beach, parading cruise ships and the dramatic sunsets over the Miami skyline. Luxe amenities include a just debut bi-level pool deck with a plethora of outdoor lounges, relaxation gardens & alfresco restaurant, full service spa, pro-fitness center, 2 swimming pools, concierge and 24hr valet. 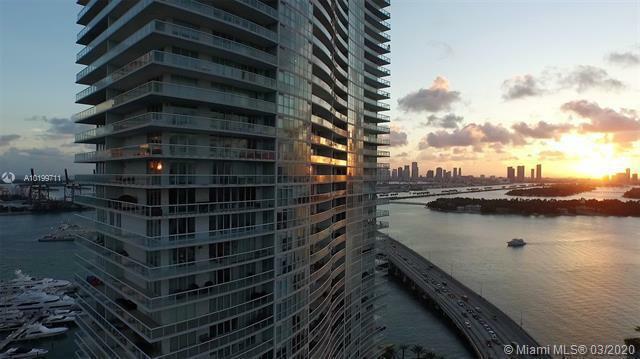 Enjoy the very best lifestyle SoFi offers with all the top restaurants just steps away, a mega yacht marina and promenade leading to the beach and arguably Miamis most beautiful park: South Pointe Park. ICON South Beach, 3902 is a 2-bedroom 2.5 bathroom home with unparalleled views of the ocean, bay and downtown city skyline. The residence has been custom designed using only the highest quality in finishes and exacting attention to detail. Features include automated push to open Italian kitchen cabinetry, quartz counter top with waterfall island, Sub-Zero and Wolf appliances, custom mill work, Antonio Lupi free standing soaker tub, steam shower, Dornbracht fixtures and Venetian plaster throughout. Complete with an integrated Crestron home automation system for audio/visual, lighting and shade control. Philipe Starcks Icon South Beach features 2 pools, state of the art fitness center, library, Dolce Restaurant with service to pool and residence, valet & concierge. LIVE IN THE BEST SPOT ON SOBE, SOUTH OF 5TH PRIME LOCATION, BREATHTAKING VIEWS FROM THIS STUNNING RESIDENCE WITH VIEWS FROM EVERY ROOM, SPACIOUS LIVING AREA, OPEN KITCHEN, AUDIO SYSTEM THRUOUGHOUT UPGRADED KITCHENS AND BATHS, DESIGNED AND DECORATED FOR TH E MOST SOPHISTICATED CLIENT, WRAP AROUND TERRACE OVER 80 OF TERRACE WATCH THE SUNRISE AND SEE THE SUNSET ALL FROM ONE PLACE , COULD BE YOUR NEW HOME, MUST SEE CALL FOR DETAILS.